​​August 17 Still into the Channel ? We did test the 20 and 50 DMA ( Day Moving Averages ) and bothe were rejected and we failed to close above the 50 DMA; That tell me that we had what I thought, ONLY a dead cat bounce and we re still within that downtrend channel with 2066.5 support and 2066.5 as resistance..
​Only a daily close above 2083.5 (it did on August 12) will give us another Bullish Impulse to ​2097.5 MAX 2099. ​​​​​​​​​​​​​Seasonals are turning into a Range Trade Pattern trend til August 16. ​​Then today I expect a range from 2070 to 2085. ​​SP500 : Price Volume Trend: Grinding PVT within a Wedge ? ​​​Volatility is set to stay high: China ETF Volatility Index and SP500: Still at Critical Level ​? ​DJ Industrials: Death Cross ? ​​Sentiment among Market Participants is still sliding: ​​SP100 Index Bull% Index: Lowest since October 2014 ? 20 Years : ​ SP500 Seasonality Trend : Range Trade Market ? 4) Volatility: SP500 Financials HVol: Unusual Behavior ? 5) Sentiment: SP100 Index Bull% Index: Lowest since October 2014 ? 6) Macro Technicals: DJ Industrials: Death Cross ? 7) Volatility: China ETF Volatility Index and SP500: Still at Critical Level ​? 8) Grinding Tech: SP500 : Price Volume Trend: Grinding PVT within a Wedge ? ​We are in a Bull Trade mode ( since August 12 ) as long as we stay above 2075 on a daily close. We are within a downtrend channel that started on July 29 with 2066.5 as suport and 2096.5 as resistance. Seasonals are turning into a Range Trade Pattern trend til August 16. See links above. ​​​​​​The market should trade today between ​​2075 and 2085. ​​​August 13 The 200 DMA Experiment ? ​​​​​​​​​​We did close above the 2083.5 level on August 12, triggering the Bull Case. ​ economy is faltering.​​​​​​​​Take note that we almost reached on August 12 in the overnight trading session the 200 DMA on SP500 fut now at 2060. This is the Battle: previous times when we reached that 200 DMA, Market Participants rushed to buy stocks. As currency fluctuations and volatility set in, a more cautious approch is warrented this time. Only a daily close above 2083.5 (it did on August 12) will give us another Bullish Impulse to ​2097.5 MAX 2099. ​​Then today I expect a range from 2074 to 2095. ​​​​​​​​​​​​​​​​​​​​​​​​​My Focus will still be on the Financials and the VIX. ​We are in a Bull Trade mode ( since August 12 ) as long as we stay above 2074 on a daily close. We are within a downtrend channel that started on July 29 with 2068 as suport and 2097.5 as resistance. ​​​​​​​​​​​​We need to stay above 2074 for that Bull scenario to unfold. Those levels will make all the difference IF broken or not. A test and breaking up that level will cancel the Bear mode. ​​​​​​The market should trade today between ​​2074 and 2095. August 12 Battle of the 200 DMA ? tremendous volatility​ for Financial Markets​. ​​50 DMA ( Day Moving Average - now at 2089.2 ) this week. We did it yesterday and reached a high of 2101.25 - summer illiquidity makes the move more violent and exceed technical levels... and Seasonals turning to a Range Trade Market...​We are still within a downtrend channel that started on July 29 with 2071 as suport and 2101 as resistance. China currency devaluation is a very Big Factor: China’s decision on Tuesday to devalue the yuan and shift to a more market-determined rate sparked concern that the world’s second-largest economy is faltering. ​​​​​​​​Take note that we almost reached on August 12 in the overnight trading session the 200 DMA on SP500 fut now at 2060. This is the Battle: previous times when we reached that 200 DMA, Market Participants rushed to buy stocks. As currency fluctuations and volatility set in, a more cautious approch is warrented this time. ​​​​Only a daily close above 2083.5 will give us another Bullish Impulse to ​2089 MAX 2099. ​​​​​​​​​Seasonals are turning into a Range Trade Pattern trend til August 16. ​Volatility is set to stay high: China ETF Volatility Index and SP500: Still at Critical Level ​? ​We are in a Bear Trade mode ( since August 3 ) as long as we stay below 2083.5 on a daily close. We are within a downtrend channel that started on July 29 with 2069.5 as suport and 2099 as resistance. ​​​​​​​​​​​​We need to stay below 2083.5 for that Bear scenario to unfold. Those levels will make all the difference IF broken or not. A test and breaking up that level will cancel the Bear mode. ​​​​​​​​​​​​​​​​​​​​​​​​​​​​​​​​​​​​​​​​​​​​​Adding the 50 DMA at 2088.8 is clearly indicating the levels not to break for bears. ​​​​​​The market should trade today between ​​2050 and 2085. ​​August 11 Still into that Downtrend Channel ? ​50 DMA ( Day Moving Average - now at 2089.2 ) this week. ​We are still within a downtrend channel that started on July 29 with 2071 as suport and 2101 as resistance. ​​​​​Take note that we almost reached on August 7 the 200 DMA on SP500 fut now at 2059.3. ​​​​Only a daily close above 2101 will give us another Bullish Impulse to ​2108 MAX 2115. Sentiment among Market Participants is still sliding: ​​SP100 Index Bull% Index: Lowest since October 2014 ? ​​​Back to the technical levels now. ​We are in a Bear Trade mode ( since August 3 ) as long as we stay below 2082.5 on a daily close. We are within a downtrend channel that started on July 29 with 2071 as suport and 2101 as resistance. ​​​​​​​​​​​​We need to stay below 2101 for that Bear scenario to unfold. Those levels will make all the difference IF broken or not. A test and breaking up that level will cancel the Bear mode. ​​​​​​​​​​​​​​​​​​​​​​​​​​​​​​​​​​​​​​​​​​​​​Adding the 50 DMA at 2089.3 is clearly indicating the levels not to break for bears. ​​​​​​The market should trade today between ​​2080 and 2101. ​​August 10 Shanghai and Seasonals ? ​​​​​​​​​​We did close below the 2092 level on August 3rd, triggering the Bear Stance. ​the recovery began more than six years ago. So a weak number will be bad for Financials and the US Dollar and bring sellers to the already weak market. We reached last Friday the MAX target downside of 2067 on SP500 fut. With Shanghai up +4.9% and Seasonals turning to a Range Trade Market, the risk are for a dead cat bounce towards the 50 DMA ( Day Moving Average - now at 2089.2 ) this week. ​​​​Take note that we almost reached on August 7 the 200 DMA on SP500 fut now at 2058.5. ​​​​Only a daily close above 2082.5 will give us another Bullish Impulse to ​2089.5 MAX 2100. 4) Voaltility: SP500 Financials HVol: Unusual Behavior ? We are within a downtrend channel that started on July 29 with 2072 as suport and 2100 as resistance. ​​​​​​​​​​​​We need to stay below 2082.5 for that Bear scenario to unfold. Those levels will make all the difference IF broken or not. A test and breaking up that level will cancel the Bear mode. ​​​​​​​​​​​​​​​​​​​​​​​​​​​​​​​​​​​​​​​​​​​​​Adding the 50 DMA at 2089.2 is clearly indicating the levels not to break for bears. ​​​​​​The market should trade today between ​​2071 and 2084. ​​August 7 NFP and DXY ? ​​​​​Reported job creation in July is the second weakest of any month since the recovery began more than six years ago. ​Take nothe that we re getting near the 200 DMA on SP500 fut now at 2057.5. ​​​​Only a daily close above 2102 will give us another Bullish Impulse to ​2108.5 MAX 2115. ​​​​​​​​​Seasonals are turning into a slow Bleed Trend trend til August 8. ​SP500: Ratio % Stocks Above 50/200 DMA: Near Resistance Trendline ? 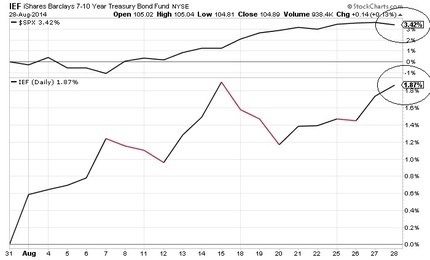 Risk Taking Behavior continue to weaken: ​​SP500: High Beta - Low Beta ETFs: Risk Taking Weakening ? ​SP500 Index Seasonalities - Cloudy August ? 20 Years : ​ SP500 Seasonality Trend : Bleeding Market ? 4) Risk Taking Behavior: SP500: High Beta - Low Beta ETFs: Risk Taking Weakening ? 5) Dead Cat Bounce: NASDAQ McClellan Indicator and SP500: Oversold Zone ? 6) Grinding Tech Behavior: SP500: Ratio % Stocks Above 50/200 DMA: Near Resistance Trendline ? ​We are in a Bear Trade mode ( since August 3 ) as long as we stay below 2102 on a daily close. We are within a downtrend channel that started on July 29 with 2073.5 as suport and 2101 as resistance. ​We broke on August 4 an uptrend channel that started on July 27 with 2087 as suport and 2125 as resistance. ​​​​​​​​​​​We need to stay below 2102 for that Bear scenario to unfold. Those levels will make all the difference IF broken or not. A test and breaking up that level will cancel the Bear mode. ​​​​​​​​​​​​​​​​​​​​​​​​​​​​​​​​​​​​​​​​​​​​​Adding the 50 DMA at 2090.1 is clearly indicating the levels not to break for bears. Seasonals are turning into a slow Bleed Trend til August 8.​​​​​​​​ See links above. ​​​​​​The market should trade today between ​​2065 and 2104. ​​August 6 Follow the Channel ? ​Shanghai down 1.6% and Apple Shares are in disarray. ​​​​Only a daily close above 2103.5 will give us another Bullish Impulse to ​2109 MAX 2115. ​We are in a Bear Trade mode ( since August 3 ) as long as we stay below 2104.5 on a daily close. We are within a downtrend channel that started on July 29 with 2075 as suport and 2103.5 as resistance. ​​​​​​​​​​​We need to stay below 2103.5 for that Bear scenario to unfold. Those levels will make all the difference IF broken or not. A test and breaking up that level will cancel the Bear mode. ​​​​​​​​​​​​​​​​​​​​​​​​​​​​​​​​​​​​​​​​​​​​​Adding the 50 DMA at 2090.7 is clearly indicating the levels not to break for bulls. ​​​​​​The market should trade today between ​​2087 and 2101. ​​August 5 50 DMA at Play ? ​​So today we are within a dead cat bounce to the 50 DMA at 2091 to 2095 before resuming downtrend. ​Market turmoil is not over as Shanghai down 1.6% and Apple Shares are in disarray. ​​​​Only a daily close above 2104.5 will give us another Bullish Impulse to ​2109 MAX 2115. We are within a downtrend channel that started on July 29 with 2076.5 as suport and 2104.5 as resistance. ​​​​​​​​​We need to stay below 2104.5 for that Bear scenario to unfold. Those levels will make all the difference IF broken or not. A test and breaking up that level will cancel the Bear mode. ​​​​​​​​​​​​​​​​​​​​​​​​​​​​​​​​​​​​​​​​​​​​​Adding the 50 DMA at 2090.8 is clearly indicating the levels not to break for bulls. ​​August 4 Bears Test ? ​​​​Only a daily close above 2106.5 will give us another Bullish Impulse to ​2115 MAX 2126.5. ​We are in a Bear Trade mode ( since August 3 ) as long as we stay below 2106.5 on a daily close. We are within an uptrend channel that started on July 27 with 2087 as suport and 2125 as resistance. ​​​​​​​​​We need to stay below 2106.5 for that Bear scenario to unfold. Those levels will make all the difference IF broken or not. A test and breaking up that level will cancel the Bear mode. ​​​​​​​​​​​​​​​​​​​​​​​​​​​​​​​​​​​​​​​​​​Adding the 50 DMA at 2091.5​ is clearly indicating the levels not to break for bulls. ​​​​​​The market should trade today between ​​2085 and 2100. August 3 Resistance Trendline ? ​​​​​​​​​​We did close above the 2083 level on July 28, triggering the Bull Stance. ​rebounded from there, a strong statement by the market indeed. ​​Only a daily close above 2083 ( it did on July 28 ) will give us another Bullish Impulse to ​2093.5 MAX 2097. ​​​​​​​​Seasonals are turning into a slow Bleed Trend trend til August 8. ​Back to the technical levels now. ​We are in a Bull Trade mode ( since July 28 ) as long as we stay above 2092 on a daily close. We are within an uptrend channel that started on July 27 with 2082 as suport and 2119 as resistance. ​​​​​​​​​We need to stay above 2092 for that Bull scenario to unfold. Those levels will make all the difference IF broken or not. A test and breaking up that level will cancel the Bull mode. ​​​​​​​​​​​​​​​​​​​​​​​​​​​​​​​​​​​​​​​​​​Adding the 50 DMA at 2092​ is clearly indicating the levels not to break for bulls. ​​​​​​The market should trade today between ​​2090 and 2105. July 31 Tricky Month End ? ​market. The DJ Transports also did close above the 50 DMA. ​SP500 and Russel1000 Financial Services and VIX: No Fear Priced Into the Market ? We did test on July 30 the 20 DMA and 50 DMA and rebounded from there, a strong statement by the market indeed. ​​​​​​​​​​​​​​Only a daily close above 2083 ( it did on July 28 ) will give us another Bullish Impulse to ​2093.5 MAX 2097. ​​​​​​​​Seasonals are turning into a slow Bleed Trend trend til August 4. 3) Volatility: The VIX/ Gold Correlation US Dollar and SP500: Expecting Higher Volatility Ahead ? 4) Short Term Technicals: SP600 : Volume A/D: Oversold Zone ? 5) Volatility: China ETF Volatility Index and SP500: Still at Critical Level ​? 6) At Crossroads: DJ Transports: Break Out or Fade ? 7) Volatility: SP500 and Russel1000 Financial Services and VIX: No Fear Priced Into the Market ? ​We are in a Bull Trade mode ( since July 28 ) as long as we stay above 2092.5 on a daily close. We are within an uptrend channel that started on July 27 with 2077 as suport and 2114.5 as resistance. ​​We are within an uptrend channel that started on July 6 with 2052 as suport and 2093.5 as resistance. ​​We broke on July 24 a downtrend channel that started on July 20 with 2102 as suport and 2120.5 as resistance. ​​​​​​​​​We need to stay above 2092.5 for that Bull scenario to unfold. Those levels will make all the difference IF broken or not. A test and breaking up that level will cancel the Bull mode. ​​​​​​​​​​​​​​​​​​​​​​​​​​​​​​​​​​​​​​​​​​Adding the 50 DMA at 2092.5​ is clearly indicating the levels not to break for bulls. Seasonals are turning into a slow Bleed Trend til August 4.​​​​​​​​ See links above. ​​​​​​The market should trade today between ​​2092 and 2110. ​​July 30 50 DMA at play ? We did break the 50 DMA ( Day Moving Average ) on the SP500 fut yesterday even before the FED, a very aggressive move by the market. The DJ Transports also did close above the 50 DMA. ​​​​​​​​​​​​Only a daily close above 2083 ( it did on July 28 ) will give us another Bullish Impulse to ​2093.5 MAX 2097. We are within an uptrend channel that started on July 27 with 2072 as suport and 2109.5 as resistance. ​​​​​​The market should trade today between ​​2092 and 2104. On a short term basis, some technical indicatorsstart to be into the oversold zone, Observe also that we came back near the 200 DMA ​( Day Moving Average ) where past reversal occured. ​​​SP500 CBOE SKEW Index: Spiking ? ​​​​​​​Next big support is the 20 DMA at 2084.5 and next big resistance is the 50 DMA at 2093. ​We are in a Bull Trade mode ( since July 28 ) as long as we stay above 2078 on a daily close. We are within an uptrend channel that started on July 6 with 2052 as suport and 2093.5 as resistance. ​​​​​​​​​We need to stay above 2078 for that Bull scenario to unfold. Those levels will make all the difference IF broken or not. A test and breaking up that level will cancel the Bull mode. ​​​​​​​​​​​​​​​​​​​​​​​​​​​​​​​​​​​​​​​​​​Adding the 50 DMA at 2093.5​ is clearly indicating the levels not to break for bears. ​​​​​​The market should trade today between ​​2084 and 2097. ​​July 28 Dead Cat Bounce ? ​​​​​​​​​​We did close near the 2113.5 level on July 21, triggering the Bear Stance. ​Major Support Trendline that started back on May 7 then at 2077. ​below the Support Trendline at 2077 open the door to test the 200 DMA now at 2047.4. On a short term basis, some technical indicators start to be into the oversold zone, Observe also that we came back near the 200 DMA ​( Day Moving Average ) where past reversal occured. ​​​​​​​Next big support is the 200 DMA at 2048 and next big resistance is the Resistance Trendline at 2078. ​We are in a Bear Trade mode ( since July 21 ) as long as we stay below 2083 on a daily close. We broke on July 24 a downtrend channel that started on July 20 with 2102 as suport and 2120.5 as resistance. We broke on July 24 a downtrend channel that started on July 21 with 2089 as suport and 2108 as resistance. ​​​​​​​​​We need to stay below 2083 for that Bear scenario to unfold. Those levels will make all the difference IF broken or not. A test and breaking up that level will cancel the Bear mode. ​​​​​​The market should trade today between ​​2063 and 2083. July 27 At Crossroads ? ​Financials flirting again with that 25.34 level ( previous break out trendline ). ​​​​​​​​​​​​We did close on July 24 below the 50 DMA ( Day Moving Average ) then at 2094.5 and reached in the same trading session the Major Support Trendline that started back on May 7 then at 2077. The SP500 is at crossroads here.​​ We may have a tiny dead cat bounce to MAX 2084.5 (20 DMA) before resuming downtrend. Having a daily close below the Support Trendline at 2077 open the door to test the 200 DMA now at 2047.4. ​​​​​​​Next big support is the Support Trendline at 2077 and next big resistance is the 50 DMA at 2094.5. ​We are in a Bear Trade mode ( since July 21 ) as long as we stay below 2094.5 on a daily close. ​​​​​​​​​We need to stay below 2094.5 for that Bear scenario to unfold. Those levels will make all the difference IF broken or not. A test and breaking up that level will cancel the Bear mode. ​​​​​​​​​​​​​​​​​​​​​​​​​​​​​​​​​​​​​​​​​​Adding the 50 DMA at 2094.5​ is clearly indicating the levels not to break for bears. ​​​​​​The market should trade today between ​​2069 and 2085. ​Expect average volatility in the weeks ahead. ​​July 24 Battle of the 50 DMA ? ​​​​​​​Seasonals are turning into a slow Bleed Trend trend til August 4. 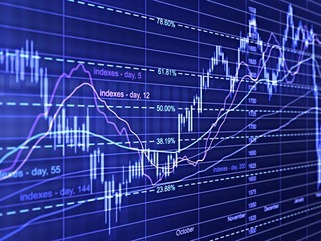 ​The Industrial Sector (XLI) : Cheapest since October 2012 ? - ​SP500: High Beta - Low Beta ETFs: Risk Taking Weakening ? - NYSE New Highs / New Lows and SP500: Divergence ? ​Volume Advance-Decline of Financials: At the Resistance Zone ? ​​​​​​​Next big support is the 50 DMA at 2094.5 and next big resistance is the high ever at 2126.5. 4) Valuation: SP500 Consumer Discretionary (XLY): A Toppish Sign ? 5) Risk Taking: SP500: High Beta - Low Beta ETFs: Risk Taking Weakening ? ​6) Industrials: The Industrial Sector (XLI) : Cheapest since October 2012 ? 7) Skewed: SP500 CBOE SKEW Index: Spiking ? ​We are in a Bear Trade mode ( since July 21 ) as long as we stay below 2120.5 on a daily close. We are within a downtrend channel that started on July 20 with 2102 as suport and 2120.5 as resistance. We are within a downtrend channel that started on July 21 with 2089 as suport and 2108 as resistance. ​​​​​​We broke on July 23 an uptrend channel that started on July 9 with 2104 as suport and 2146 as resistance. ​​​​​​​​​We need to stay below 2120.5 for that Bear scenario to unfold. Those levels will make all the difference IF broken or not. A test and breaking up that level will cancel the Bear mode. ​​​​​​​​​​​​​​​​​​​​​​​​​​​​​​​​​​​​​​​​​​Adding the 50 DMA at 2094.5​ is clearly indicating the levels not to break for bulls. ​​​​​​The market should trade today between ​​2094 and 2108. ​​July 23 Are we Skewed ? 2) Financials flirting again with that 25.34 level ( previous break out trendline ). 3) Dow Jones Transport failed to test the 50 DMA ( Day Moving Average ) at peak price on SP500 fut. 4) Apple will play a significant part of the next few trading sessions as Earnings was below expectations. ​​​​​​​Seasonals are turning into a slow Grind Trend trend til July 23. ​We are in a Bear Trade mode ( since July 21 ) as long as we stay below 2122 on a daily close. ​​We are within an uptrend channel that started on July 9 with 2104 as suport and 2146 as resistance. ​​​​​​​​​​​​​​​​​We are within a new downtrend channel that started on July 20 with 2104 as suport and 2122 as resistance. ​​​​​​​​​We need to stay below 2122 for that Bear scenario to unfold. Those levels will make all the difference IF broken or not. A test and breaking up that level will cancel the Bear mode. Seasonals are turning into a slow Grind Trend til July 23.​​​​​​​​ See links above. ​​​​​​The market should trade today between ​​2104 and 2116. July 22 Now the Industrials ? 1) Trade below on July 21 the Support Trendline from a Falling Wedge now at 2112.5. ​​​​​​​Next big support is the 50 DMA at 2094 and next big resistance is the high ever at 2126.5. ​We are in a Bear Trade mode ( since July 21 ) as long as we stay below 2123.5 on a daily close. ​​We are within an uptrend channel that started on July 9 with 2097.5 as suport and 2141 as resistance. ​​​​​​​​​​​​​​​​​We are within a new downtrend channel that started on July 20 with 2104.5 as suport and 2123.5 as resistance. ​​​​​​​​​We need to stay below 2123.5 for that Bear scenario to unfold. Those levels will make all the difference IF broken or not. A test and breaking up that level will cancel the Bear mode. ​​​​​​​​​​​​​​​​​​​​​​​​​​​​​​​​​​​​​​​​​​Adding the 50 DMA at 2094​ is clearly indicating the levels not to break for bulls. ​​​​​​The market should trade today between ​​2100 and 2114. July 21 Technicals Weakening ? ​​​​​​​​​​We did close above the 2073.5 level on July 13, triggering the Bull Stance. ​arounf the July 8 bottom and are now flashing into the overbought zone. Technicals are in a weakening mode ( my Daily Trendicator ) as near testing the high ever on the SP500 fut and the indicator are making Lower Highs, a warning sign of that upmove done without strenght. ​​Bulls need to protect on a Daily Basis that Support Trendline from a Falling Wedge now at 2112.5. Apple - AAPL - can play a significant part of the next few trading sessions as Earnings Release today. ​​I am still following Financials as Lead; it did make​​ a new high on July 17 but was rejected. Still need to stay above 25.34 level ( previous break out trendline ). ​​​Only a daily close above 2073.5 ( it did on July 13 ) will change that scenario to a bull impulse toward 2083.5 MAX 2090.5... Next targets are 2126.5 and 2134. ​​​​​​​Next big support is the 50 DMA at 2093.5 and next big resistance is the high ever at 2126.5. ​We are in a Bull Trade mode ( since July 13 ) as long as we stay above 2113.5 on a daily close. ​​We are within a new uptrend channel that started on July 9 with 2090.5 as suport and 2134 as resistance. ​​​​​​​​​We need to stay above 2113.5 for that Bull scenario to unfold. Those levels will make all the difference IF broken or not. A test and breaking down that level will cancel the Bull mode. ​​​​​​​​​​​​​​​​​​​​​​​​​​​​​​​​​​​​​​​​​​​​​​Adding the 50 DMA at 2093.5​ is clearly indicating the levels not to break for bulls. ​​​​​​The market should trade today between ​​2112 and 2126. July 20 Last Push Before Seasonals Reversal ? ​reaching near overbought territory, we will see. The grind continue and already almost at the higher ever on the SP500 Index.Technical Indicators were into oversold zone arounf the July 8 bottom and are now flashing into the overbought zone. Bulls need to protect on a Daily Basis ​​Resistance that Trendline from a Falling Wedge now at 2113. I am still following Financials as Lead; it did make​​ a new high on July 17 but was rejected. Still need to stay above 25.34 level ( previous break out trendline ). ​​​Only a daily close above 2073.5 ( it did on July 13 ) will change that scenario to a bull impulse toward 2083.5 MAX 2090.5... Next targets are 2128 and 2134.5. ​​​​​​​Next big support is the 50 DMA at 2093 and next big resistance is the resistance trendline at 2128. ​We are in a Bull Trade mode ( since July 13 ) as long as we stay above 2109 on a daily close. ​​We are within a new uptrend channel that started on July 9 with 2085 as suport and 2128 as resistance. ​​​​​​​​​We need to stay above 2109 for that Bull scenario to unfold. Those levels will make all the difference IF broken or not. A test and breaking down that level will cancel the Bull mode. ​​​​​​​​​​​​​​​​​​​​​​​​​​​​​​​​​​​​​​​​​​​​​​Adding the 50 DMA at 2093​ is clearly indicating the levels not to break for bulls. ​​​​​​The market should trade today between ​​2113 and 2128. July 17 Trendline at Play ? ​Bulls are that Resistance Trendline from the Falling Wedge now at 2114. ​Having a daily close above it will call for 2122 to 2126.5 very quick. ​​​​Now that we have a daily close above that Resistance Trendline from the Falling Wedge then at 2114, for a real Break Out, it should have a Quick Bull Impulse and we need today a daily close above 2113 - which I really doubt. Already short term technicals indicators are reaching near overbought territory, we will see. ​​​Only a daily close above 2073.5 ( it did on July 13 ) will change that scenario to a bull impulse toward 2083.5 MAX 2090.5... Next targets are 2122 and 2126.5. ​​​​​​​Seasonals are turning into a slow Grind Trend trend til July 20. ​SP1500 Volume Advance-Decline: Strengthening ? ​​​​​​​Next big support is the 50 DMA at 2092 and next big resistance is the high ever at 2126.5. 20 Years : ​ SP500 Seasonality Trend : Grinding Market ? 3) Accumulation: SP1500 Volume Advance-Decline: Strengthening ? 4) Macro: NYSE Summation Index: A Macro Signal : Bullish Mode ? 5) No Volume: SP500 : Price Volume Trend: A Weak PVT within a Wedge ? 6) Divergence: VIX and SP500: A Fearless Market ​? 7) Short Term Technicals: NASDAQ McClellan Indicator and SP500: Overbought Zone ? ​We are in a Bull Trade mode ( since July 13 ) as long as we stay above 2104.5 on a daily close. ​​We are within a new uptrend channel that started on July 9 with 2084 as suport and 2121 as resistance. ​​​​We broke on July 13 a downtrend channel that started on June 29 with 2037.5 as suport and 2073.5 as resistance. ​​We broke on July 6 a new uptrend channel that started on June 30 with 2063 as suport and 2085.5 as resistance. ​​​​​​​​​We need to stay above 2104.5 for that Bull scenario to unfold. Those levels will make all the difference IF broken or not. A test and breaking down that level will cancel the Bull mode. ​​​Only a daily close above 2073.5 ( it did on July 13 ) will change that scenario to a bull impulse toward 2083.5 MAX 2090.5... Next targets are 2133 and 2126.5. ​​​​​​​​​​​​​​​​​​​​​​​​​​​​​​​​​​​​​​​​​​​​​​Adding the 50 DMA at 2092​ is clearly indicating the levels not to break for bulls. Seasonals are turning into a slow Grind Trend til July 20.​​​​​​​​ See links above. ​​​​​​The market should trade today between ​​2107 and 2122. July 16 Greece Relief ? Market Still grinding withn an upward channel with Financials pushing the Mighty SP500 Index. ​​On a Bigger Picture, Next Big Challenge for the Bulls are that Resistance Trendline from the Falling Wedge now at 2114. Having a daily close above it will call for 2122 to 2126.5 very quick. ​​​Only a daily close above 2073.5 ( it did on July 13 ) will change that scenario to a bull impulse toward 2083.5 MAX 2090.5... Next targets are 2114 and 2122. ​​​​​​​Next big support is the 50 DMA at 2091 and next big resistance is the Resistance at 2114. ​We are in a Bull Trade mode ( since July 13 ) as long as we stay above 2090.5 on a daily close. ​​We are within a new uptrend channel that started on July 9 with 2071 as suport and 2114.5 as resistance. ​​​​​​​​​We need to stay above 2099.5 for that Bull scenario to unfold. Those levels will make all the difference IF broken or not. A test and breaking down that level will cancel the Bull mode. ​​​​​​​​​​​​​​​​​​​​​​​​​​​​​​​​​​​​​​​​​​​​​​Adding the 50 DMA at 2091​ is clearly indicating the levels not to break for bulls. ​​​​​​The market should trade today between ​​2100 and 2118. July 15 Channel Resistance ? ​Channel then at 2083.5 and the 50 DMA then at 2090.5. The market was stronger than I expected on July 14 and bring it to the resistance trendline form that uptrend channel that we have since July 9 with 2108.5 for today s level. On a Bigger Picture, Next Big Challenge for the Bulls are that Resistance Trendline from the Falling Wedge now at 2114. ​​​Only a daily close above 2073.5 ( it did on July 13 ) will change that scenario to a bull impulse toward 2083.5 MAX 2090.5... Next targets are 2108.5 and 2114. ​​​​​​​Next big support is the 50 DMA at 2090.5 and next big resistance is the Resistance at 2114. ​​We are within a new uptrend channel that started on July 9 with 2065 as suport and 2108.5 as resistance. ​​​​​​​​​We need to stay above 2090.5 for that Bull scenario to unfold. Those levels will make all the difference IF broken or not. A test and breaking down that level will cancel the Bull mode. ​​​​​​​​​​​​​​​​​​​​​​​​​​​​​​​​​​​​​​​​​​​​​​Adding the 50 DMA at 2090.5​ is clearly indicating the levels not to break for bulls. July 14 Done or Not ? ​​​​We had Finally that strong Greek Relief on July 13 having closed above the that Resistance Trendline from a Downward ​Channel then at 2083.5 and the 50 DMA then at 2090.5. ​​​Only a daily close above 2073.5 ( it did on July 13 ) will change that scenario to a bull impulse toward 2083.5 MAX 2090.5... Next targets are 2096 and 2101.5. ​​​​​​​Next big support is the 20 DMA at 2080.5 and next big resistance is the Resistance at 2101.5. ​We are in a Bull Trade mode ( since July 13 ) as long as we stay above 2080.5 on a daily close. ​​We are within a new uptrend channel that started on July 9 with 2058 as suport and 2101.5 as resistance. ​​​​​​​​​​​​​We have a Resistance Trendline that started back on June 22 2015 at 2096. ​​​​​​​​We have a Resistance Trendline that started back on May 7 2015 at 2072.5. We have a​​ Major Support Trendline that started on December 16 2014 at 1992. ​We need to stay above 2080.5 for that Bull scenario to unfold. Those levels will make all the difference IF broken or not. A test and breaking down that level will cancel the Bull mode. ​​​​​​The market should trade today between ​​2083 and 2096. July 13 Greece Relief ? ​​​​​​​​​​We did close below the 2111 level on June 24, triggering the Bear Stance. ​4) The Dow Jones Transport testing back the Support of a Falling Wedge Pattern. ​​5) Also, the Financials (XLF ETF) false break out over 25.20 on June 18 start to be a concern to me. ​Need a Daily close above 25.20 to have a Real Break Out. ​​Seasonals are turning into a slow Grind Trend trend til July 20. ​​​​​​Next big support is the 200 DMA at 2039 and next big resistance is the 50 DMA at 2090.5. ​Still Expect Volatility to prevail into the ​next few sessions and the market to trade on a choppy manner. ​We are in a Bear Trade mode ( since June 24 ) as long as we stay below 2073.5 on a daily close. ​​We are within a downtrend channel that started on June 29 with 2037.5 as suport and 2073.5 as resistance. ​​​​​​​​​​​​​We have a Resistance Trendline that started back on June 22 2015 at 2098. ​​​​​​​​We have a Resistance Trendline that started back on May 7 2015 at 2072. ​We need to stay below 2073.5 for that Bear scenario to unfold. Those levels will make all the difference IF broken or not. A test and breaking down that level will cancel the Bear mode. ​​​​​​​​​​​​​​​​​​​​​​​​​​​​​​​​​​​​​​​​​​​​​​Adding the 50 DMA at 2090.5​ is clearly indicating the levels not to break for bears. ​​​​​​The market should trade today between ​​2052 and 2091. ​​​July 10 Still into The Channel ? ​test the next Major Support Trendline now at 1992. ​​Seasonals are turning into a slow Bleed Trend trend til July 12. ​​​All eyes are on Greece but ​CBOE China ETF Volatility Index to the ​VIX is still in High Volatility Territory. ​​​​​​Next big support is the 200 DMA at 2038 and next big resistance is the 50 DMA at 2091. 3) Retail: ETF s Volume Adv/Decl: Oversold Zone ​? 4) Dow Theory: DJ Transport: Too Little Too Late ? 5) 200 DMA: SP500 Index: The 200 DMA Experiment ? 6) Complacent Market: SP500 Financials HVol: A no Panic Mode ? ​We are in a Bear Trade mode ( since June 24 ) as long as we stay below 2074.5 on a daily close. ​​We are within a downtrend channel that started on June 29 with 2038 as suport and 2074.5 as resistance. ​​​​​​​​​​​​​We have a Resistance Trendline that started back on May 19 2015 at 2114. ​We need to stay below 2074.5 for that Bear scenario to unfold. Those levels will make all the difference IF broken or not. A test and breaking down that level will cancel the Bear mode. ​​​​​​​​​​​​​​​​​​​​​​​​​​​​​​​​​​​​​​​​​​​​​​Adding the 50 DMA at 2091 is clearly indicating the levels not to break for bears. Seasonals are turning into a slow Bleed Trend til July 12.​​​​​​​​ See links above. ​​​​​​The market should trade today between ​​2045 and 2072. ​​July 9 Battle of the 200 DMA ? But when we will break the 200 DMA, expect volatility to pick up and to test the next Major Support Trendline now at 1992. ​​Seasonals are turning into a slow Grind Trend trend til July 9. ​​​​​​Next big support is the 200 DMA at 2038 and next big resistance is the 50 DMA at 2092. 3) Complacent Market: SP500 Financials and VIX: Some Fear into that Market ? 4) Retail: ETF s Volume Adv/Decl: Oversold Zone ​? 5) Dow Theory: DJ Transport: Too Little Too Late ? 6) 200 DMA: SP500 Index: The 200 DMA Experiment ? ​We are in a Bear Trade mode ( since June 24 ) as long as we stay below 2071.5 on a daily close. ​​We are within a downtrend channel that started on June 29 with 2039 as suport and 2075.5 as resistance. ​​​​​​​​​​​​​We have a Resistance Trendline that started back on May 19 2015 at 2114.5. ​​​​​​​​We have a Resistance Trendline that started back on May 7 2015 at 2071.5. ​We need to stay below 2071.5 for that Bear scenario to unfold. Those levels will make all the difference IF broken or not. A test and breaking down that level will cancel the Bear mode. ​​​​​​​​​​​​​​​​​​​​​​​​​​​​​​​​​​​​​​​​​​​​​​Adding the 50 DMA at 2092 is clearly indicating the levels not to break for bears. Seasonals are turning into a slow Grind Trend til July 9.​​​​​​​​ See links above. ​​​​​​The market should trade today between ​​2040 and 2071. July 8 DJ Transport Rejection ? ​Transport​​ Failed to test and get over the Resistance Trendline. ​​Now that we tested and rebounded violently from the 200 DMA, we beed to break the Resistance Trendline from a Downward Channel at 2087 for a ​Real Bullish Impulse. What we had was only a technical rebound. ​​​​​​Next big support is the 200 DMA at 2037.5 and next big resistance is the 50 DMA at 2093. ​We are in a Bear Trade mode ( since June 24 ) as long as we stay below 2071 on a daily close. ​​We are within a new downtrend channel that started on June 29 with 2041 as suport and 2077 as resistance. ​​​​​​​​We have a Resistance Trendline that started back on May 7 2015 at 2071. ​We need to stay below 2071 for that Bear scenario to unfold. Those levels will make all the difference IF broken or not. A test and breaking down that level will cancel the Bear mode. ​​​​​​​​​​​​​​​​​​​​​​​​​​​​​​​​​​​​​​​​​​​​​​Adding the 50 DMA at 2093 is clearly indicating the levels not to break for bears. ​​​​​​The market should trade today between ​​2037 and 2073. ​​​​July 7 200 DMA Tested ? ​door for a quick test of the 200 DMA ( Day Moving Average ) at 2036.​5. Now that we tested and rebounded violently from the 200 DMA, we beed to break the Resistance Trendline from a Downward Channel at 2088 for a Real Bullish Impulse. What we had was only a technical rebound. ​​​​​​Next big support is the 200 DMA at 2037 and next big resistance is the 50 DMA at 2094. ​We are in a Bear Trade mode ( since June 24 ) as long as we stay below 2070 on a daily close. ​​We are within a new downtrend channel that started on June 29 with 2044 as suport and 2080 as resistance. ​​​​​​​​​​​​​We have a Resistance Trendline that started back on May 19 2015 at 2115. ​​​​​​​​We have a Resistance Trendline that started back on May 7 2015 at 2070. ​We need to stay below 2070 for that Bear scenario to unfold. Those levels will make all the difference IF broken or not. A test and breaking down that level will cancel the Bear mode. ​​​​​​​​​​​​​​​​​​​​​​​​​​​​​​​​​​​​​​​​​​​​​​Adding the 50 DMA at 2094 is clearly indicating the levels not to break for bears. ​​​​​​The market should trade today between ​​2061 and 2080.